It is not a book post like I promised, but I hope that it can suffice your need for a weekly post. This week, I decided I would introduce you all to a certain part of my life. My world is so much more awesome because of it! It is this awesome group called Belegarth. I get hit with foam swords. Sometimes I hit back, but I am still learning. I have the opportunity to learn because of the awesome people belonging to Belegarth. Belegarth is a nationwide group that focuses on combat. 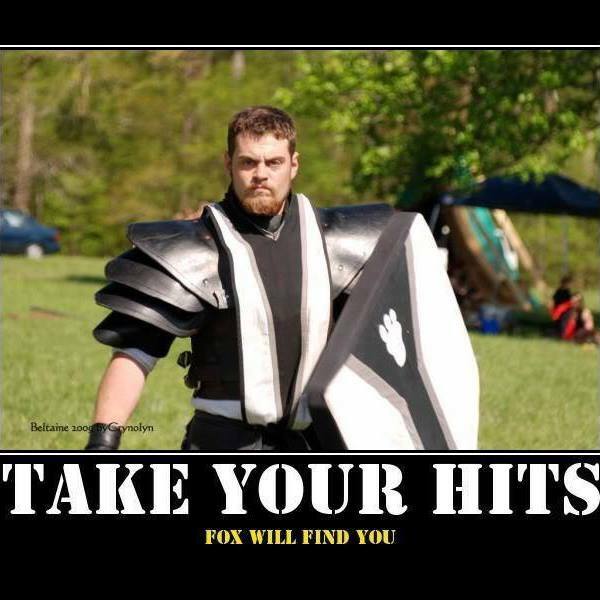 It is a medieval combat society that uses foam weapons and it is completely awesome. There are realms within the group and I belong to a realm called Grond. Recognize the name? Yes? Maybe? No? Well, darn. It is the name of the warhammer used in the Lord of the Rings movies. While Belegarth is considered a “game”, it is loosely based off Lord of the Rings. There is a realm close by under the name of Numenor, which is pretty cool too. 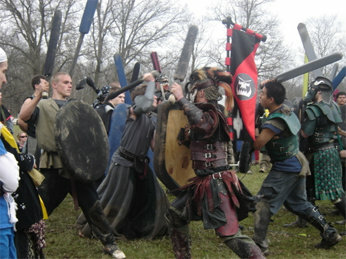 There are many different types of fighters within Belegarth. There is basically a house, guild, or unit for everything. Right now, I belong to House Valkyries which is a kickass group for women fighters. They hold special training sessions at events and are always open to more female fighters. Although Belegarth is an AWESOME thing, women fighters are few and far between it seems. I am one of four ladies who are present in my realm on a regular basis. Bel basically has everything you could ask for. There are many things I could say about Belegarth, but I fear that words would do it no justice. I have learned a great deal since starting it and I have met the greatest people too. That concludes this blog post, but I will be back next week with another post. I have been having trouble with getting content out every week, but with the end of the semester fast approaching, I will be able to get posts out twice or thrice weekly once more. I will see you all again next week. Catch ya later! Hey, thanks for stopping by my blog! I just had to comment on this post… Belegarth looks AWESOME! How did you first hear about it? Hello there! Thank YOU for stopping by mine. To answer your question, I first heard about it from an acquaintance while at a renaissance faire. I was invited to a practice over the summer, went once and did not show up again for about four and a half months, but I came back at the end of November. Now I am an official fighter for the realm, and it’s so awesome!